1. Chop the banana and dates into small pieces. 2. 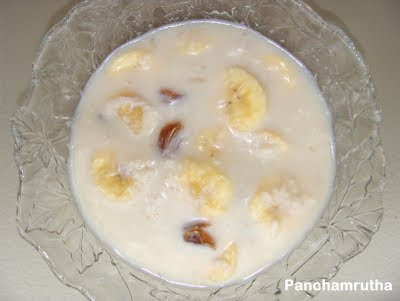 In a bowl combine chopped banana, dates, milk, honey, grated coconut and sugar (optional). Mix well.